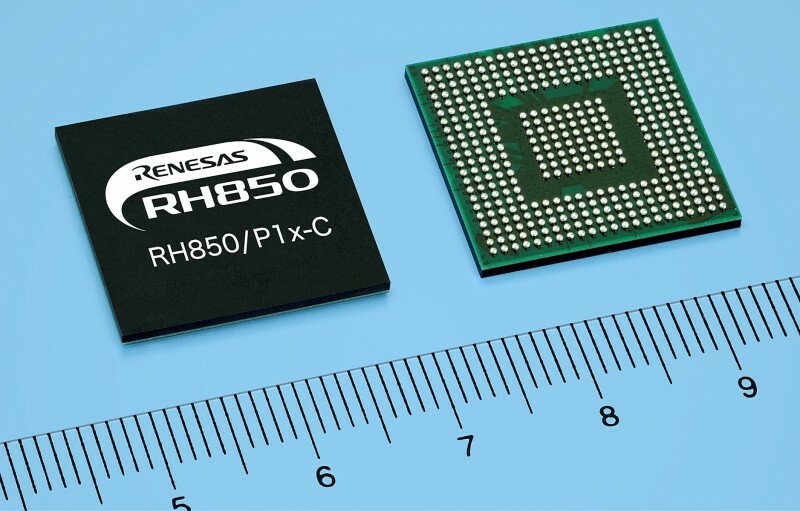 Lauterbach has announced that it has extended the kernel awareness for the embOS RTOS from SEGGER Microcontroller to the RH850 Family of microprocessors from Renesas Electronics. TRACE32, the class leading debug tools from Lauterbach, already supports embOS on ARM, PowerPC, RX, SH and NIOS-II families and this tried and tested technology has now been extended to include RH850. 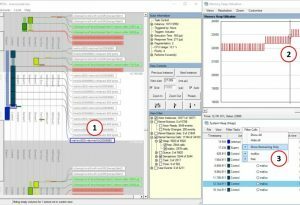 The embOS awareness plugin for TRACE32 allows the developer to visualise RTOS resources and objects such as task lists, mailboxes, timers and semaphores. Developers are free to investigate interrupt routines, drivers and application code all from within the familiar environment of TRACE32. When the awareness is configured, extra features become available, for instance the setting of task aware breakpoints. All MPUs of the RH850 Family provide dedicated counter registers which can be accessed non-intrusively by the TRACE32 debugger. These can be configured to display minimum, maximum and mean runtimes for a user marked block of code or the runtimes of various tasks in the embOS system. If the target provides off-chip trace capabilities, TRACE32 can record processor cycles and can be configured to collect data on task switches. Using this information, a detailed analysis of the program history, including task switches, can be viewed. All features of the TRACE32 awareness for embOS do not require any additional target configuration or any hooks or patches within the RTOS itself. The philosophy of TRACE32 is for the application to behave exactly the same in the debug environment as on the final product; only this way can 100% certainty of testing be achieved. 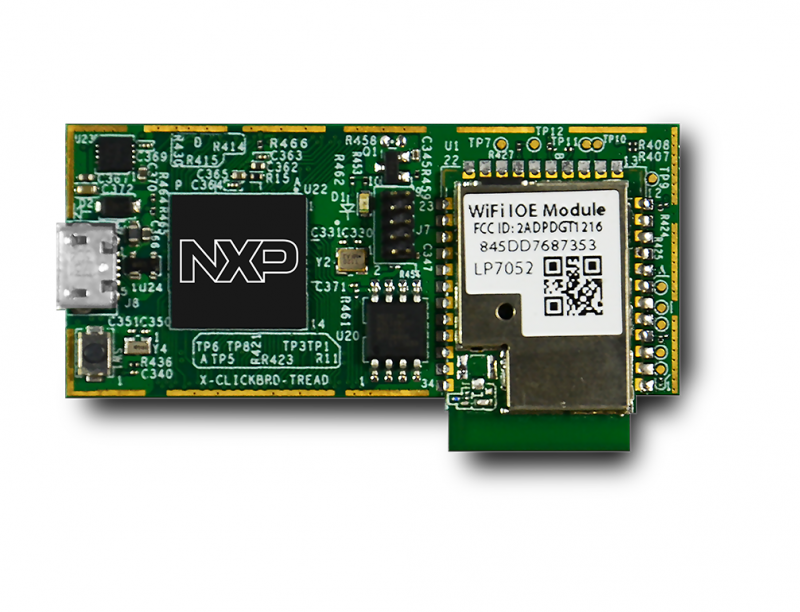 NXP Semiconductors has introduced the LPC54018 MCU-based IoT module with onboard Wi-Fi and support for newly launched Amazon FreeRTOS on Amazon Web Services (AWS), offering developers universal connections to AWS. 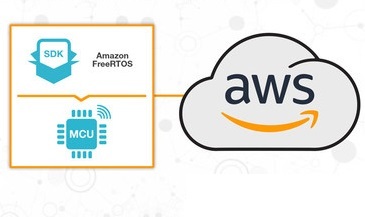 Amazon FreeRTOS provides tools for users to quickly and easily deploy an MCU-based connected device and develop an IoT application without having to worry about the complexity of scaling across millions of devices. Once connected, IoT device applications can take advantage of the capabilities of the cloud or continue processing data locally with AWS Greengrass. NXP’s IoT module, co-developed with Embedded Artists and based on the LPC54018 MCU, offers unlimited memory extensibility, a root of trust built on the embedded SRAM physical unclonable functions (PUF) and on-chip cryptographic accelerators. Together, LPC and Amazon FreeRTOS, with easy-to-use software libraries, bring multiple layers of network transport security, simplify cloud on-boarding and over-the-air device management. NXP enables node-to-cloud AWS connectivity with its LPC54018-based IoT module available on Amazon.com and EmbeddedArtists.com at $35 direct to consumers. Microchip Technology has expanded its collaboration with Amazon Web Services (AWS) to support cloud-connected embedded systems from the node to the cloud. Supporting Amazon Greengrass, Amazon FreeRTOS and AWS Internet of Things (IoT), Microchip provides all the components, tools, software and support needed to rapidly develop secure cloud-connected systems. Microchip’s PIC32MZ EF series of microcontrollers now support Amazon FreeRTOS, an operating system that makes compact low-powered edge devices easy to program, deploy, secure and maintain. 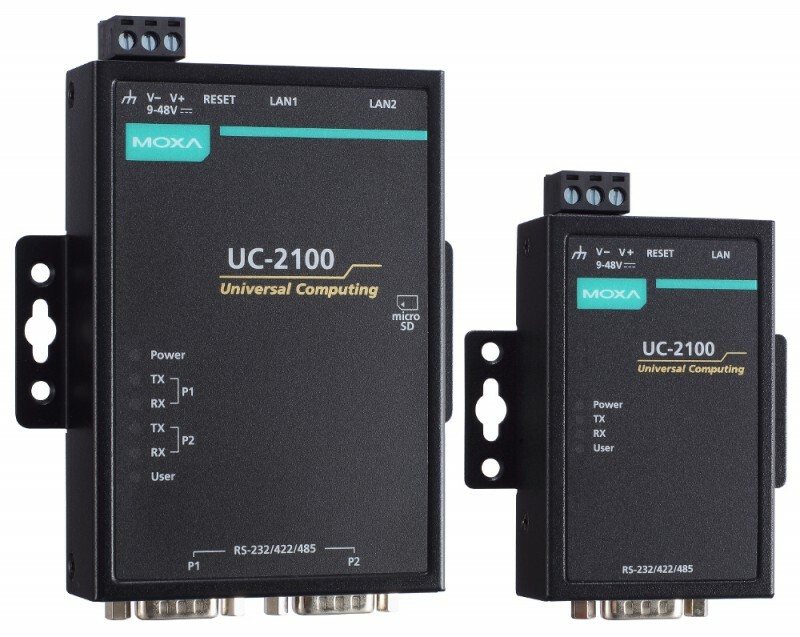 These high-performance MCUs incorporate industry-leading connectivity options, ample Flash memory, rich peripherals and a robust toolchain which empower embedded designers to rapidly build complex applications. Amazon FreeRTOS includes software libraries which make it easy to securely deploy over-the-air updates as well as the ability to connect devices locally to AWS Greengrass or directly to the cloud, providing a variety of data processing location options. For systems requiring data collection and analysis at a local level, developers can use Microchip’s SAMA5D2 series of microprocessors with integrated AWS Greengrass software. 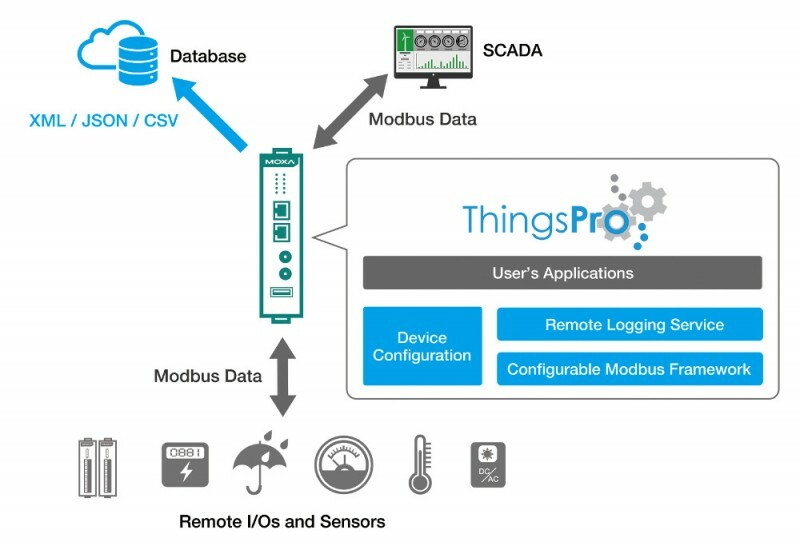 This will enable systems to run local compute, messaging, data caching and sync capabilities for connected devices in a secure way. This type of execution provides improved event response, conserves bandwidth and enables more cost-effective cloud computing. The SAMA5D2 devices, also available in System-in-Package (SiP) variants, offer full Amazon Greengrass compatibility in a low-power, small form factor MPU targeted at industrial and long-life gateway and concentrator applications. Additionally, the integrated security features and extended temperature range allows these MPUs to be deployed in physically insecure and harsh environments. Microchip has an extensive toolchain for rapid and reliable development. The Curiosity PIC32MZ EF development board (shown), to kick-start Amazon FreeRTOS-based designs, is a fully integrated 32-bit development platform which also includes two mikroBUS expansion sockets, enabling designers to easily add additional capabilities, such as Wi-Fi with the WINC1510 click board, to their designs. The SAMA5D2 Xplained Ultra board, which can be used for AWS Greengrass designs, is a fast prototyping and evaluation platform for the SAMA5D2 series of MPUs. Additionally, the CryptoAuth Xplained Pro evaluation and development kit is an add-on board for rapid prototyping of secure solutions on AWS IoT and is compatible with any Microchip Xplained or XplainedPro evaluation boards. AWS is also a part of Microchip’s Design Partner Program which provides technical expertise and cost-effective solutions in a timely manner. PIC32MZ EF MCUs are available starting at $5.48 each in 10,000 unit quantities. 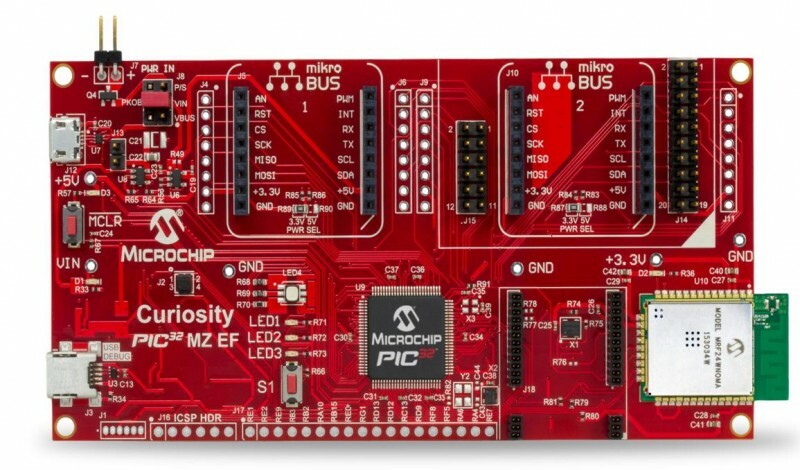 The PIC32MZ EF Curiosity board (DM320104) is available for $47.99 each. SAMA5D2 MPUs are available starting at $4.42 each in 10,000 unit quantities. The SAMA5D2 Xplained Ultra board (ATSAMA5D2C-XULT) is available for $150 each. ATECC608A secure elements are available starting at $0.56 each in 10,000 unit quantities. The CryptoAuth Xplained Pro evaluation and development kit (ATCryptoAuth-XPRO-B) is available for $10 each. STMicroelectronics has announced its collaboration with Amazon Web Services (AWS) on Amazon FreeRTOS, the latest addition to the AWS Internet of Things (IoT) solution. Amazon FreeRTOS provides everything one needs to easily and securely deploy microcontroller-based connected devices and develop an IoT application without having to worry about the complexity of scaling across millions of devices. Once connected, IoT device applications can take advantage of all of the capabilities the cloud has to offer or continue processing data locally with AWS Greengrass. 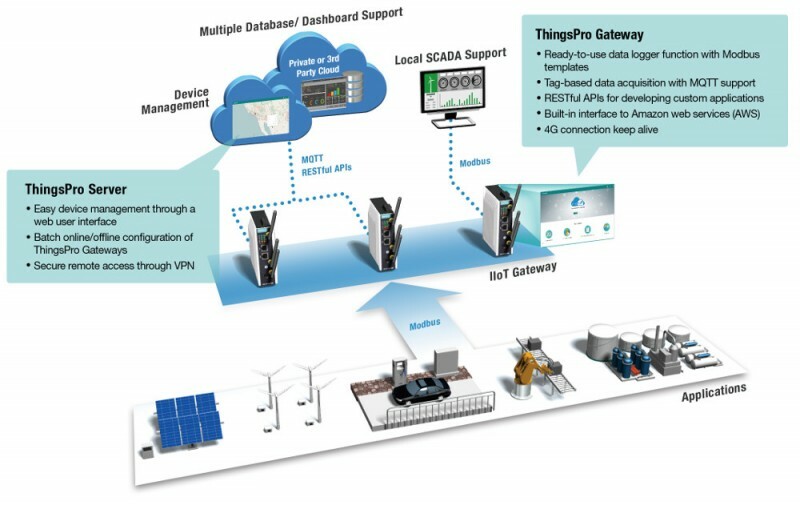 ST’s collaboration with AWS speeds designers’ efforts to create easily connectable IoT nodes with the combination of ST’s semiconductor building blocks and Amazon FreeRTOS, which extends the leading free and open-source real-time operating-system kernel for embedded devices (FreeRTOS) with the appropriate libraries for local networking, cloud connectivity, security, and remote software updates. 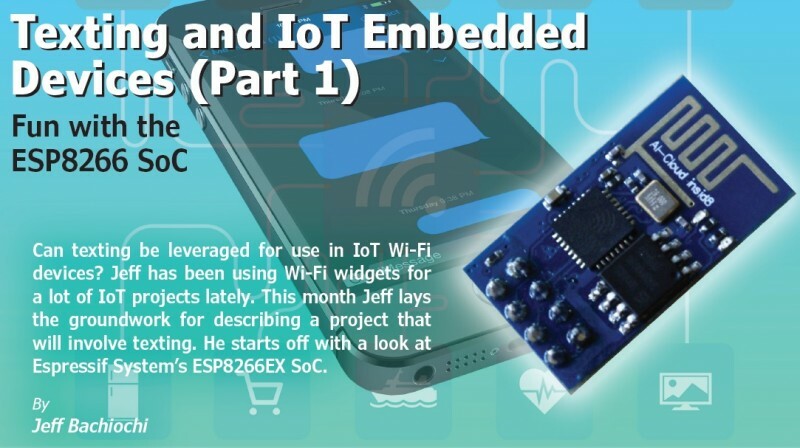 For the STM32, ST’s family of 32-bit Arm Cortex-M microcontrollers, the modular and interoperable IoT development platform spans state-of-the-art semiconductor components, ready-to-use development boards, free software tools and common application examples. At the official release of Amazon FreeRTOS, a version of the OS and libraries were immediately made available to run on the ultra-low-power STM32L4 series of microcontrollers. 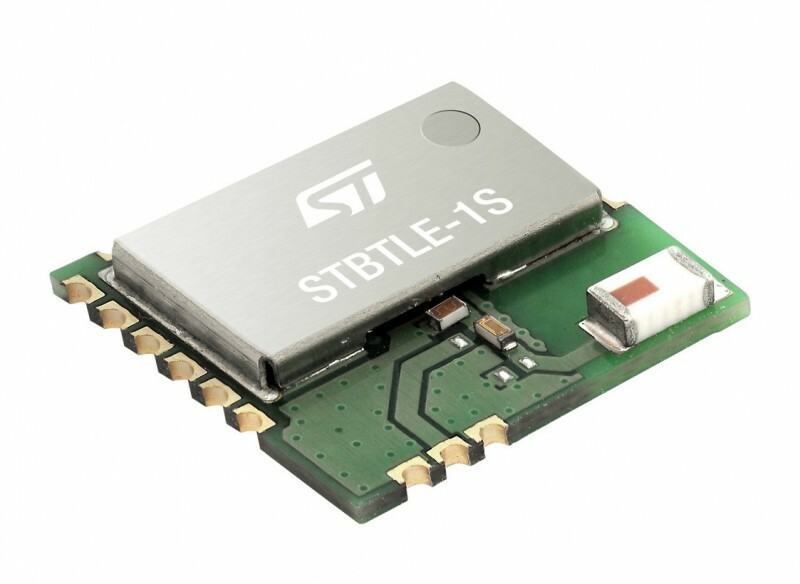 The starter kit for Amazon FreeRTOS is ST’s B-L475E-IOT01A Discovery kit for IoT node, a fully integrated development board that exploits low-power communication, multiway sensing, and a raft of features provided by the STM32L4 series microcontroller to enable a wide range of IoT-capable applications. 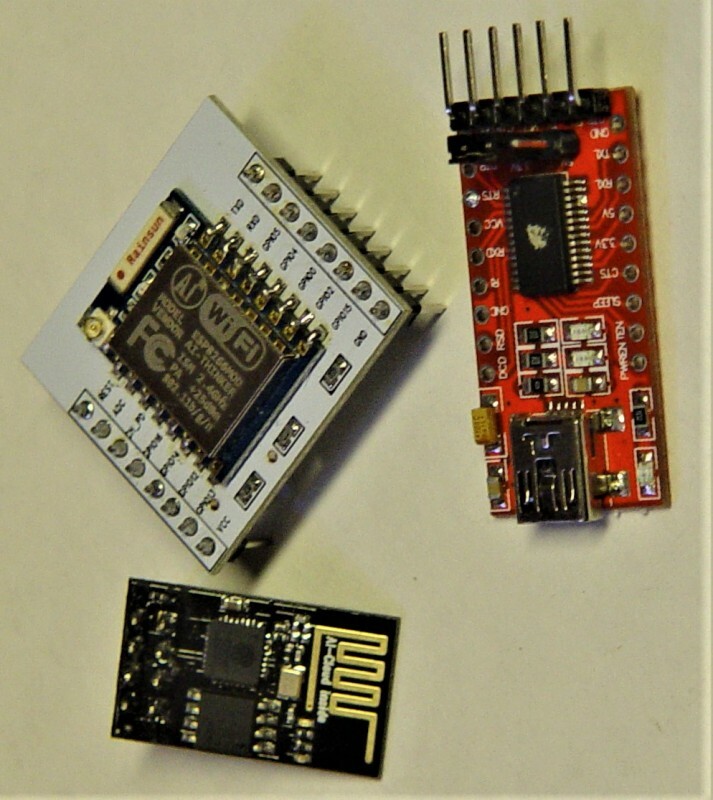 The Discovery kit’s support for Arduino Uno V3 and PMOD connectivity ensures unlimited expansion capabilities with a large choice of specialized add-on boards. Texas Instruments (TI) has announced the integration of the new Amazon FreeRTOS into the SimpleLink microcontroller platform. Amazon Web Services (AWS) has worked with TI in the development of an integrated hardware and software solution that enables developers to quickly establish a connection to AWS IoT service out-of-the-box and immediately begin system development. TI’s SimpleLink Wi-Fi CC3220SF wireless MCU LaunchPad development kit, which now supports Amazon FreeRTOS, offers embedded security features such as secure storage, cloning protection, secure bootloader and networking security. 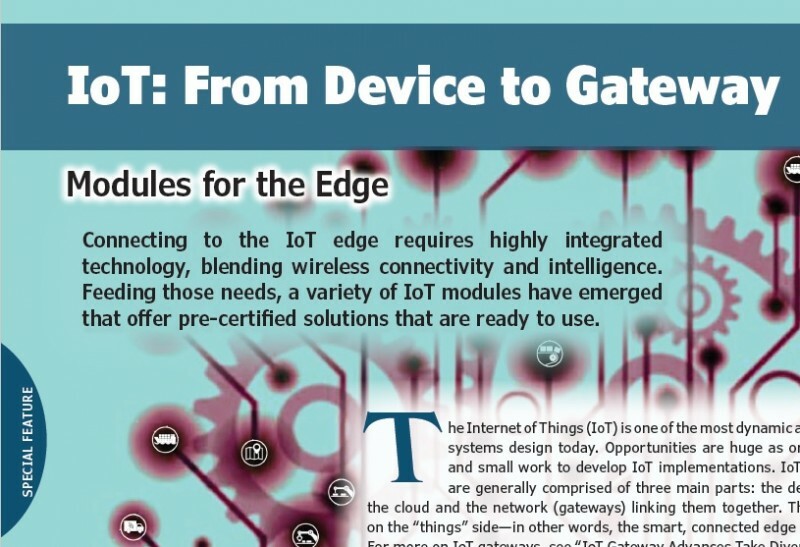 Developers can now take advantage of these security features to help them protect cloud-connected IoT devices from theft of intellectual property (IP) and data or other risks. 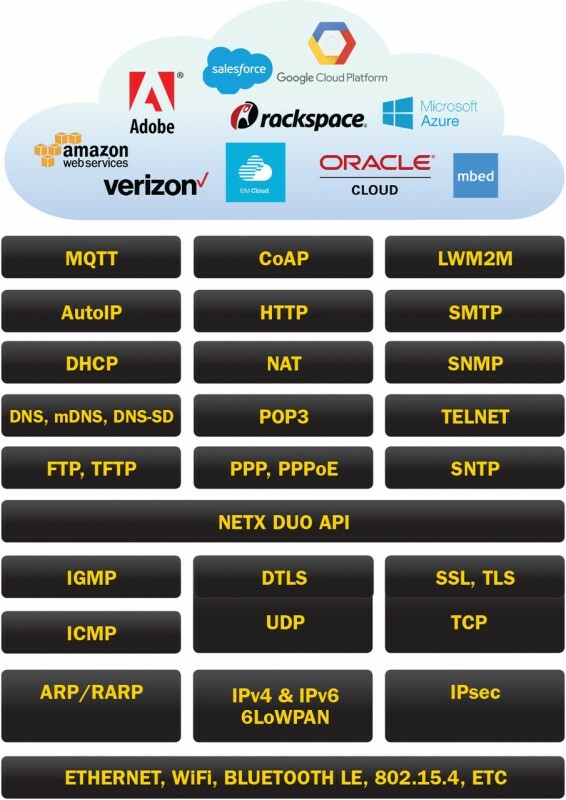 TI offers a broad portfolio of building blocks for IoT nodes and gateways spanning wired and wireless connectivity, microcontrollers, processors, sensing technology, power management and analog solutions, along with a community of cloud service providers, such as AWS, to help developers get connected to the cloud faster. The SimpleLink MCU platform from Texas Instruments is a single development environment that delivers flexible hardware, software and tool options for customers developing Internet of Things (IoT) applications. 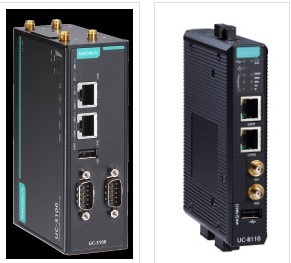 With a single software architecture, modular development kits and free software tools for every point in the design life cycle, the SimpleLink MCU ecosystem allows 100 percent code reuse across the portfolio of microcontrollers, which supports a wide range of connectivity standards and technologies including RS-485, Bluetooth low energy, Wi-Fi, Sub-1 GHz, 6LoWPAN, Ethernet, RF4CE and proprietary radio frequencies. SimpleLink MCUs help manufacturers easily develop and seamlessly reuse resources to expand their portfolio of connected products.